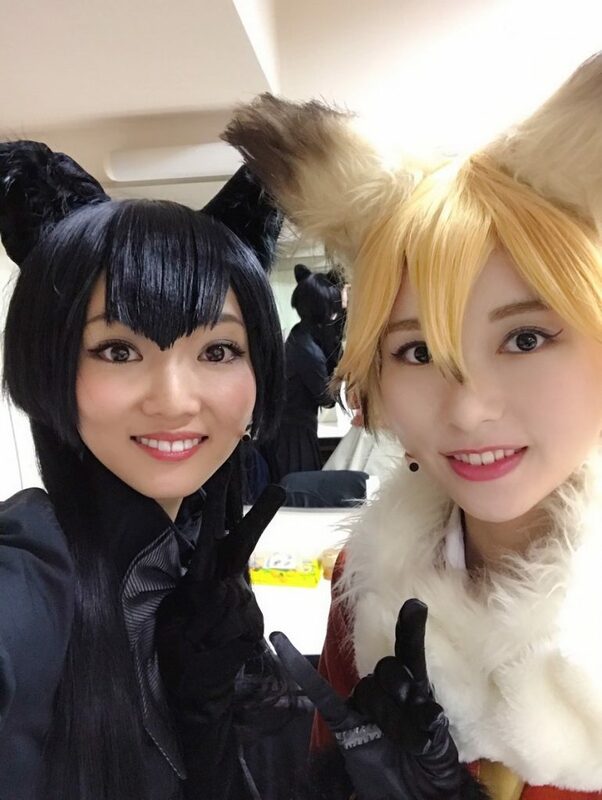 Yesterday, the stage play Kemono Friends 2 concluded. I played the role of Kitakitsune. but every day was fulfilling and fun. and since I had little experience (with stage plays), they taught me a lot of stuff. I truly had alot of fun! Azusa-san, who played Kurohyou (black leopard), forced me… told me to post this picture onto my blog, so I’m posting it. Other pictures that I took with others are uploaded on their Twitter accounts so please check them out! so I will be happy if you could enjoy it by wondering if there are foxes like this (stage play) Kitakitsune-chan.